"David Ware" redirects here. For the basketball player, see David Wear. Ware was born in Plainfield, New Jersey, grew up in Scotch Plains, New Jersey, graduated from Scotch Plains-Fanwood High School, and briefly attended the Berklee College of Music. He moved to NYC in 1973, where he participated in the loft jazz scene, and later worked as a cab driver for 14 years in order to focus on his own group concept. In the early 1980s, he returned to Scotch Plains with his wife Setsuko S. Ware. Ware's debut album as a leader was recorded in 1977 – together with pianist Gene Ashton (aka Cooper-Moore) and drummer Marc Edwards – and released by HatHut in 1979. He performed and recorded with the groups of pianist Cecil Taylor and drummer Andrew Cyrille in the mid-late 1970s. He formed his own quartet in 1989. The group was originally composed of Ware, pianist Matthew Shipp, bassist William Parker, and drummer Marc Edwards. While Shipp and Parker were members for the group's entire existence, the drum chair was later occupied by Whit Dickey, Susie Ibarra, and Guillermo E. Brown. The David S. Ware Quartet performed across the US and Europe and released a series of increasingly acclaimed albums spanning the 1990s on the independent labels Silkheart, DIW, Homestead, and AUM Fidelity. Saxophonist Branford Marsalis signed Ware to Columbia Records in 1998 for a three-album contract. 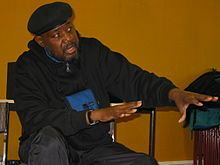 In 2001, jazz critic Gary Giddins described Ware's quartet as "the best small band in jazz today". In 2007, after 17 years together, the quartet was disbanded following the release of the album Renunciation and a final European tour that spring. Ware proceeded to perform concerts and record albums with a series of new group configurations: a new quartet featuring guitarist Joe Morris, William Parker, and drummer Warren Smith; a special trio celebrating his 50th year of playing saxophone (in 2009) with Parker and Smith; a 2-volume series of solo saxophone performances; and finally with his last quartet, Planetary Unknown, featuring Cooper-Moore, Parker, and drummer Muhammad Ali. His final concert performance was with Planetary Unknown on August 27, 2011, at Jazzfestival Saalfelden in Austria. The recording of that concert was released in July 2012 on AUM Fidelity. Ware was first diagnosed with kidney failure in 1999, and, following nearly a decade of undiminished creative activity while on a strict regimen of peritoneal dialysis, Ware underwent a critically necessary and successful kidney transplantation in May 2009. The organ donor was Floridian Laura Mehr, who responded to an urgent email message sent out to nearly 1,000 of Ware's fans. He returned to the stage that October, and continued to perform and record highly acclaimed work for the next two years, even as he endured serious complications brought on by required immunosuppressant medication. He finally succumbed to an aggressive blood infection and died on October 18, 2012, at Robert Wood Johnson University Hospital in New Brunswick, New Jersey, age 62. ^ Ware, David S. "David S. Ware", JazzTimes, June 2003. "Ware drove taxis for 14 years in New York City, where he relocated in 1973 after growing up in Scotch Plains and later attending Boston's Berklee College of Music." ^ a b Giddins, Gary (2001). ""Go Tell It on the Mountain: David Ware's Quartet Demands Overstatement"". Archived from the original on July 4, 2008. Retrieved 2008-07-04. CS1 maint: BOT: original-url status unknown (link) 31 July 2001, URL accessed 30 April 2012. ^ La Gorce, Tammy. "A Gift of Life and Music: Musician David S. Ware, of Scotch Plains, recovered from a kidney transplant...with a little help from his fans. ", New Jersey Monthly, December 14, 2009. Accessed August 9, 2011. "David S. Ware, 60, a tenor saxophonist from Scotch Plains, got more than support. He got a new kidney.... Having regained his health, Ware, a graduate of Scotch Plains-Fanwood High School, is planning to release an experimental jazz album this spring." ^ "RIP David S. Ware". Ottawa Citizen. 2012-10-18. Archived from the original on 2012-10-22. Retrieved 2012-10-18.